Fears over "designer babies" were common long before we understood the science of genetics well enough to actually produce them. For many, the idea of predetermining a child's eye color or trying to influence their intelligence or athletic prowess through genetics is the very definition of dystopia. It probably doesn't help that we once equated embryo manipulation with shopping for plant seeds. In 1966, one doctor predicted that planning for a baby would be like shopping for flower seed packets. 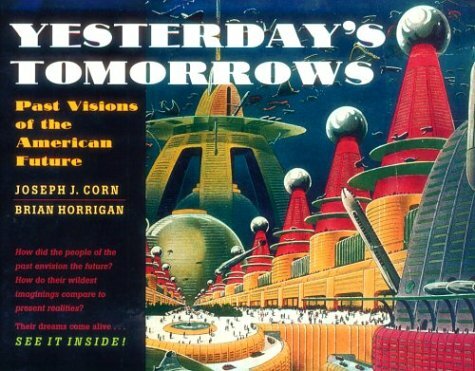 An article in Kaiser Aluminum News by one Dr. Hafez titled, "Foreseeing the Unforeseeable," imagined that we were just a decade or two away from this brave new world. Only 10 or 15 years hence, it could be possible for a housewife to walk into a new kind of commissary, look down a row of packets not unlike flower-seed packages, and pick her baby by label. Each packet would contain a frozen one-day-old embryo, and the label would tell the shopper what color of hair and eyes to expect as well as the probable size and I.Q. of the child. It would also offer assurance of freedom from genetic defects. After making her selection, the lady would take the packet to her doctor and have the embryo implanted in herself, where it would grow for nine months, like any baby of her own. Of course, we're not quite at the flower seed packet version of family planning. But we're light-years ahead of 1966 when it comes to options. And personally, I'm not really that creeped out by most aspects of our brave new world. On principle, yes, I'm broadly opposed to the implementation of eugenics programs, especially when it comes to methods like sterilization of the "unfit" as Nikola Tesla advocated. That's a no-brainer. But using the modern tools at your personal disposal to ensure that your child is healthy is hard to argue against. If we do it for corn and green beans, we might as well do it for kids.